According to an interview from 1996, Steve Jobs, while talking about the Web, had predicted the coming of the e-commerce era. This was a time when the Internet or Web had not really taken off and were a new technological phenomenon. In the interview with Wired, Jobs hinted at how the Internet would change the face of commercial activities, or to be more precise, commerce itself. Talking about what one could do with the Web including publishing, “The third thing is commerce, which is even harder than complex publishing because you have to tie the Web into your order-management system, your collection system, things like that. I think we’re still two years away. But that’s also going to be huge,” said Jobs. Jobs was spot on with the future he foresaw at a time when the term ‘e-commerce’ was not even introduced as yet. Just to put it in perspective, this year’s Cyber Monday sales exceeded $2 billion, which is reported to be the heaviest online spending day in history of the U.S. Responding to questions about how the Web has just sprung up on everyone, Jobs said “The Web reminds me of the early days of the PC industry. No one really knows anything. There are no experts. All the experts have been wrong.” According to Jobs, the whole idea of approaching the concept with a fresh open mind free of prejudice and confinement is very important. Jobs talking about the “economic landscape”, remarked that “If the Web got up to 10 percent of the goods and services in this country, it would be phenomenal. I think it’ll go much higher than that. Eventually, it will become a huge part of the economy.” Jobs explained how more and more people will stop going to shops once goods are available to buy over the Web, and they will buy more as well, something that will benefit both the sellers and consumers. Today, global business-to-consumer e-commerce sales stand at roughly $1.5 trillion, increasing by 20% over 2013. This growth will continue in the near future as more and more people look towards the Internet to shop, without needing to visit a retail store. 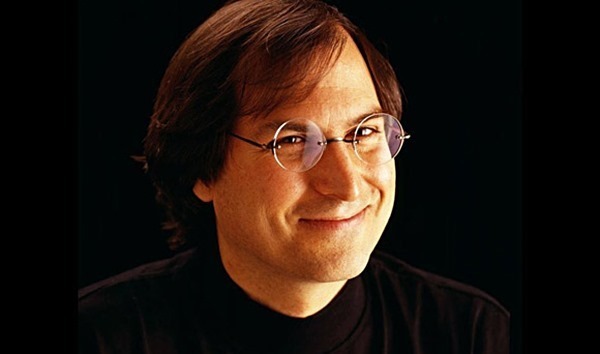 Do you think Steve Jobs’ words from 1996 have rung true in today’s age? Share your thoughts with us on the matter. Pretty much the entire industry saw this coming….or if you’re an Apple Fanboy, just Steve Jobs saw it coming…. Let the man stay dead! Wow! I’m pretty sure he’s going too and it has nothing to do with you saying that. Great trolling though… give yourself a pat on the back, maybe use a sledge hammer. In 1996, no one even think of the internet more than another form of text communication. He was a visionary man and at some point, still is. Look how iPod changes the face of music industry, or how iPhone changes how people interact with their smartphones. Who started to create something great may be forgotten or even being said as not the pioneer and the fact being redirected, but history has already recorded it. Who else said this ? it’s easy to say i knew it will happened after it does! Don’t forget about the iPad. There was nothing like it before it. Like I said, everyone…people were predicting this years earlier and guys like Jeff Bezos weren’t just predicting it, they were moving on it two years earlier. Jobs was just reiterating, not predicting what was already buzz. 2. Those who hate Steve Jobs! Honestly Steve was the biggest one, just think of how the computer industry would be like if Steve was never born! You know that Stereotypic image that Apple users are pretty dumb. You’re kind of proving it to be more than a Stereotypical image with that comment! Steve Jobs holds an important part in the history of the computer revolution with the start of Apple but there were far many more pioneers that actually made a bigger impact rather than just being marketed by Apple fanboys to have made a bigger impact. I’m sure you’ll google or ask Siri or something but did you even know who Jeff Bezos is? I am an apple fanboy who uses android. I believe Steve Jobs was the spark to the web revolution but I doubt he made it a lot better. There were countless more that made the internet better and all Steve did was made the Apple experience better, by predicting the market’s wants and needs. He is indeed a genius for knowing more but Google also did their part by believing in Steve’s idea and starting the revolution. They and many more others made the internet a more exciting place to be. They all had key roles in designing the future and I think they should all be equally proclaimed.